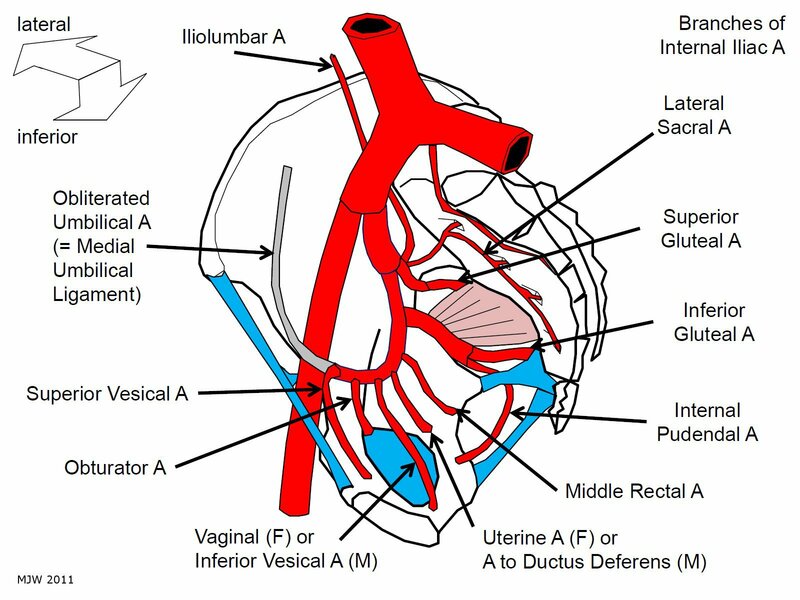 “A final note, added in revision: some sources refer to two trunks or divisions of the internal iliac artery: a posterior trunk that gives rise to the iliolumbar, lateral sacral, and superior gluteal arteries, and an anterior trunk that gives rise to everything else. If that’s what your professor tells you, smile and nod and keep your heretical thoughts to yourself. Personally, I regard the notion of trunks of the internal iliac artery alongside phlogiston, luminiferous aether, and snorkeling sauropods, as romantic nonsense at best.” HAHA! True!